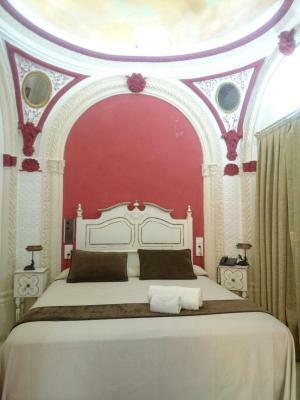 Lock in a great price for Hotel Mezquita – rated 8.6 by recent guests! 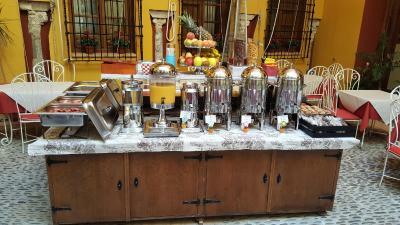 Loved the eclectic character of the hotel and the front desk was extremely helpful and friendly. And you can’t beat the location! 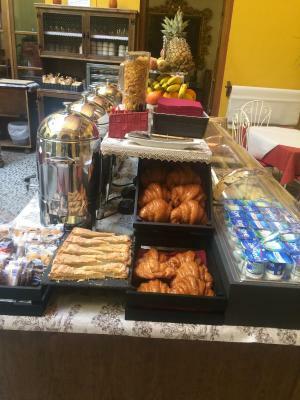 We thought the breakfast was good, it was nice to have the coffee maker that made a delicious cafe con leche!!!! 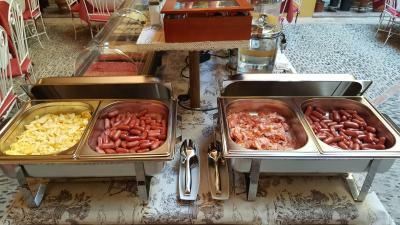 The bacon was the best we had had on our travels through Spain. 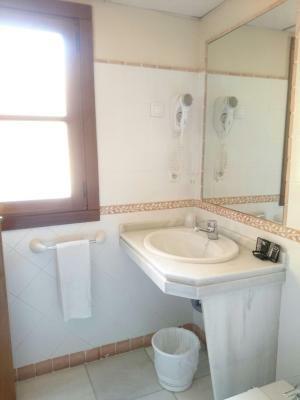 The hotel has an excellent location, with most everything in easy walking distance. The staff was very helpful and friendly. 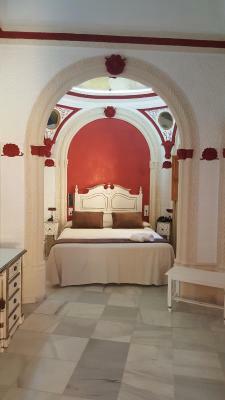 The rooms were nice, and the beds were decent too. 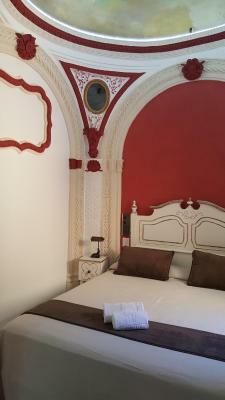 We would definitely stay here again, given the chance to travel through Spain again! 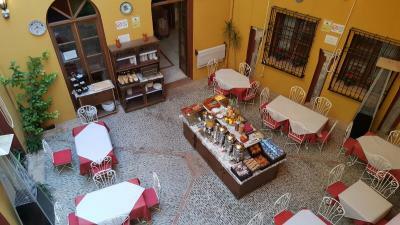 The hotel is small and delightfully old fashioned, simply furnished and very clean. 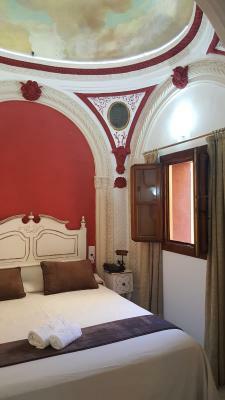 The room was small but comfortable, with a truly amazing view of the Mezquita. And despite it’s proximity to that heavily visited site, it was quiet at night. 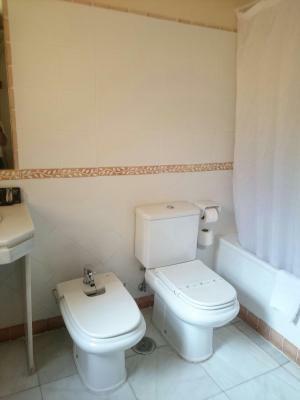 The bathroom is ample and recently remodeled. And given the location, it is a great value. 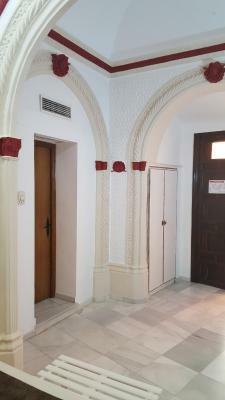 Location is excellent, right across from entrance to La Mezquita, and close to other sights. Staff are courteous and helpful. Room was very clean and attractive. Amazing location! 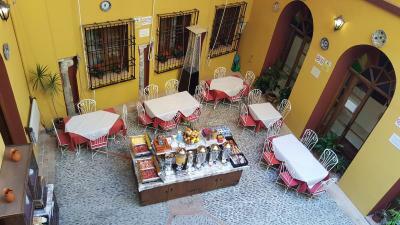 Literally steps from the mezquita and right in the heart of old Cordoba. I Was able to walk to all major tourist attractions plus the bus station. I stayed in a single room with a bathroom which was very clean and spacious with a strong WiFi signal. 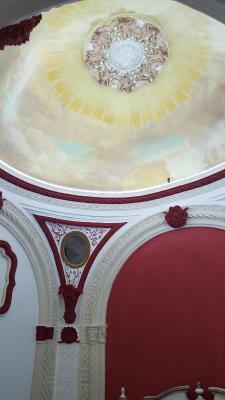 The location of the Hotel Mezquita was perfect for for us. Walking distance to everything. The hotel itself is lovely with beautiful art collections. 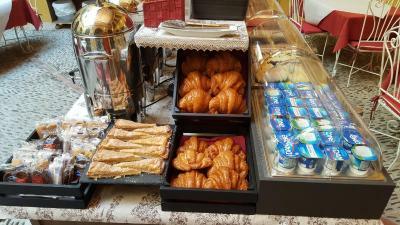 The breakfast which is extra is a good choice for quality and value. Staff friendly and helpful. We would return. Hotel in the old square and close to everything. Staff very helpful. Restaurants within walking distance. I requested and received a very quiet room. 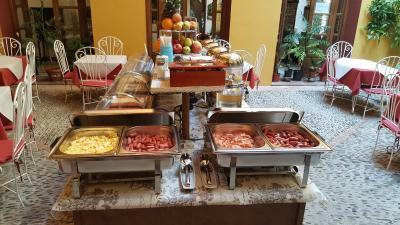 Staff was friendly and accommodating. 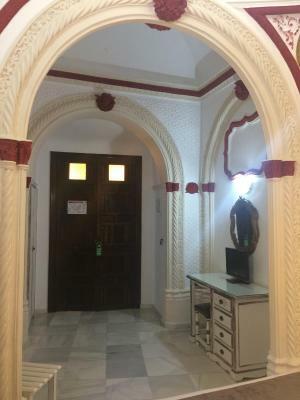 The hotel has charming decor and character. 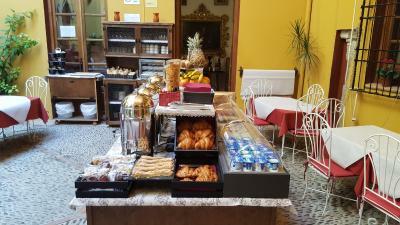 Location- excellant and the hotel has wonderful antiques & unique items to browse in the lobby- feels like Spain. The rooms were very comfortable and very clean. the location is perfect. 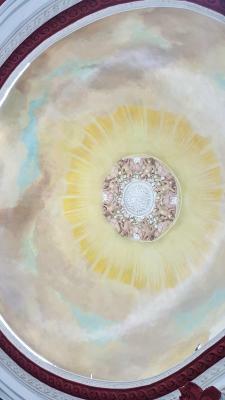 the staff is great, courteous, and friendly without being disrespectful. 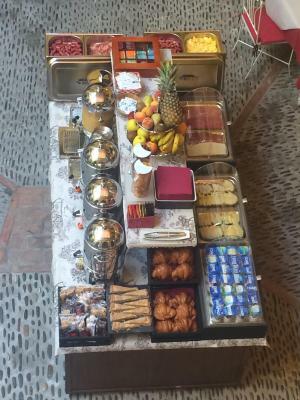 the breakfast offered enough variety to be satisfactory. 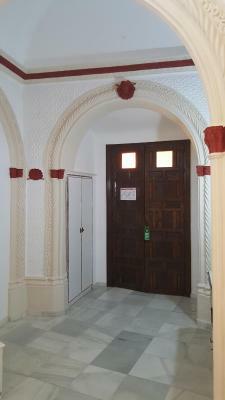 the room is well appointed, clean well insulated and comfortable. offered a view of the mezquita and the street without being noisy. 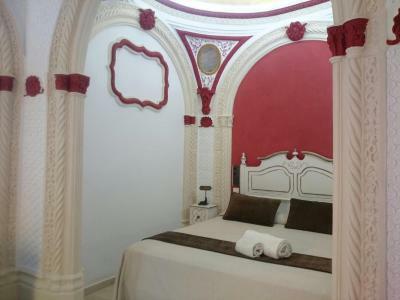 Hotel Mezquita This rating is a reflection of how the property compares to the industry standard when it comes to price, facilities and services available. It's based on a self-evaluation by the property. Use this rating to help choose your stay! 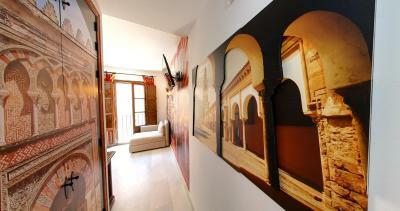 One of our top picks in Córdoba.Hotel Mezquita is located in the heart of the old Jewish Quarter in Córdoba. 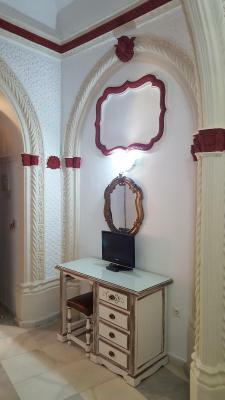 The charming rooms feature a TV and a private bathroom. Free WiFi is available in all areas. 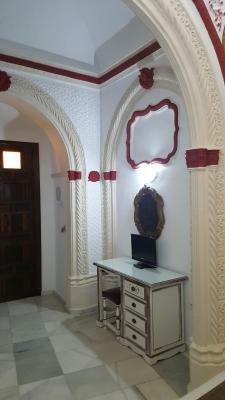 Each room has an air conditioning and heating unit, which works with remote control. 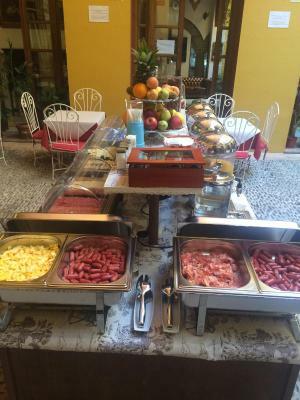 Buffet breakfast can be enjoyed on the traditional Andalusian patio. 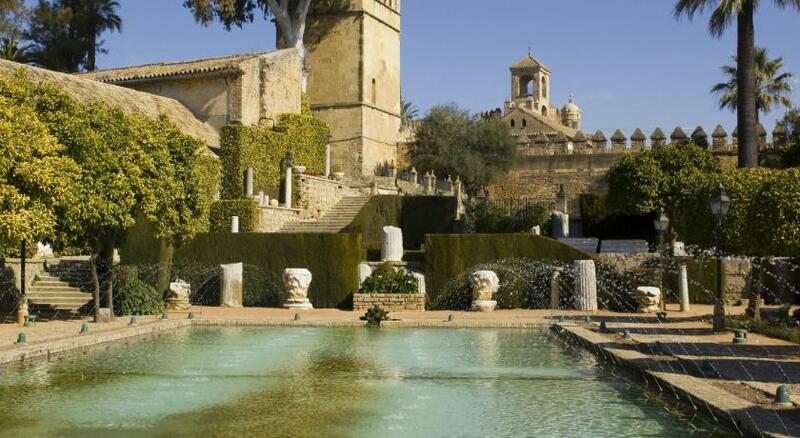 The 24-hour reception at Mezquita gives guests flexibility during their stay. 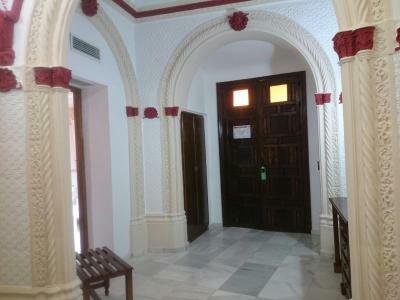 Information can be provided on the surrounding area from the hotel’s tour desk. 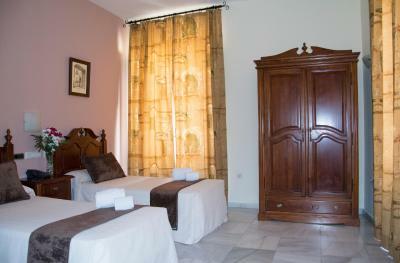 Surrounded by historic buildings, Mezquita Hotel is located approximately 5 mi from Córdoba Airport. 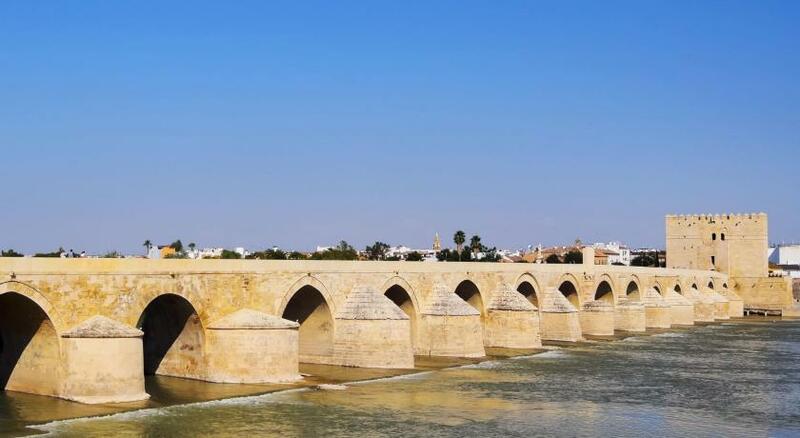 Just 1,650 feet from the hotel is the the Alcázar de los Reyes Cristianos, a historic palace-fortress on the river in Córdoba. 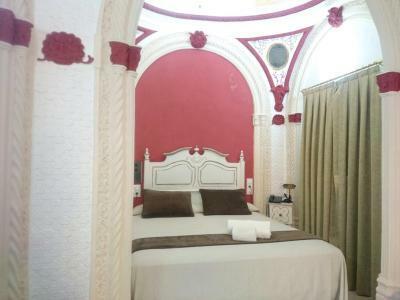 When would you like to stay at Hotel Mezquita? 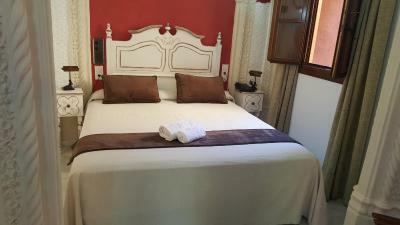 This air-conditioned room includes a flat-screen TV and private bathroom with bath tub and shower. Free WiFi is available. 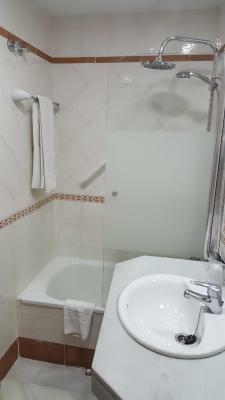 This air-conditioned single room includes a flat-screen TV private bathroom with bath tub and shower. Free WiFi is available. 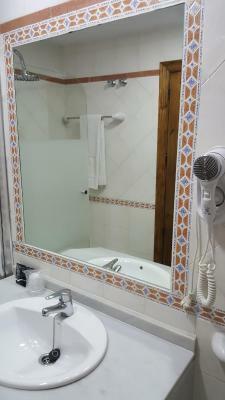 This air-conditioned triple room includes a flat-screen TV private bathroom with bath tub and shower. Free WiFi is available. 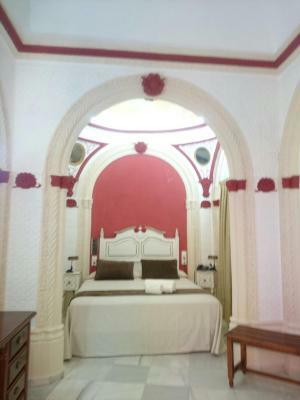 This air-conditioned room features 4 single beds. 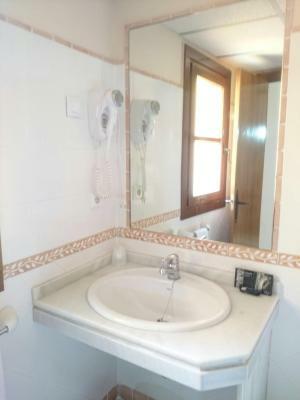 It includes a flat-screen TV private bathroom with bath tub and shower. Free WiFi is available. This twin/double room has air conditioning. Free WiFi is available. 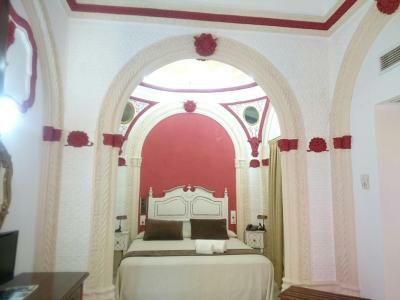 This air-conditioned double room features a flat-screen TV and locally themed décor. Free WiFi is available. 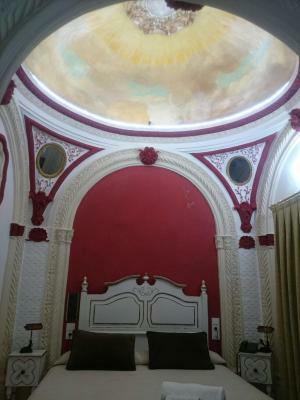 House Rules Hotel Mezquita takes special requests – add in the next step! 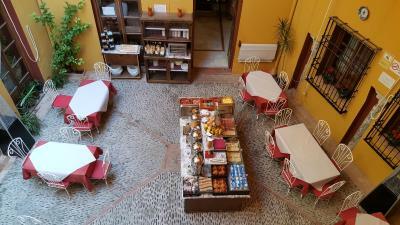 Hotel Mezquita accepts these cards and reserves the right to temporarily hold an amount prior to arrival. Please note that there is only 1 elevator available in one of the 3 wings of the building. Hotel location excellent. 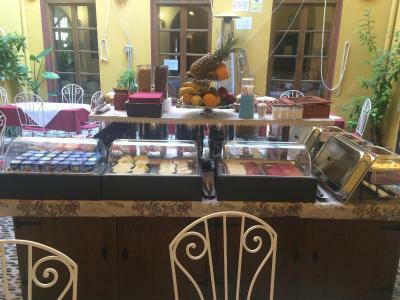 Breakfast choices and dining room very good. Bathrooms were extremely narrow! But it’s an old building and they worked. 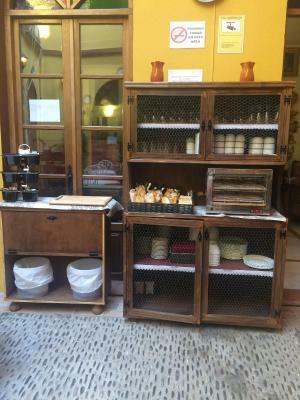 The furniture in the room was too crowded and we bumped into sharp edges often The coffee and tea weren’t hot enough. The croissants were tasteless. It was a bit awkward standing in the little tub to shower, might be better to just not have the little tub. The shower got water everywhere. 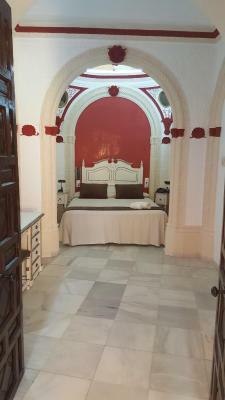 The room was all marble tiled, it felt like we were staying at the alcazar. 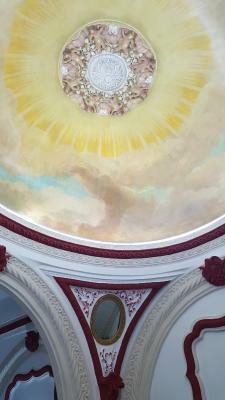 Beautiful paintings in the foyer. Room was quiet and clean. I liked everything. I think the descriptions of the hotel are accurate and I think it deserves higher than its current star rating. The hotel is clean, the rooms are small but I didn't spend much time in the room anyway. The location was amazing. 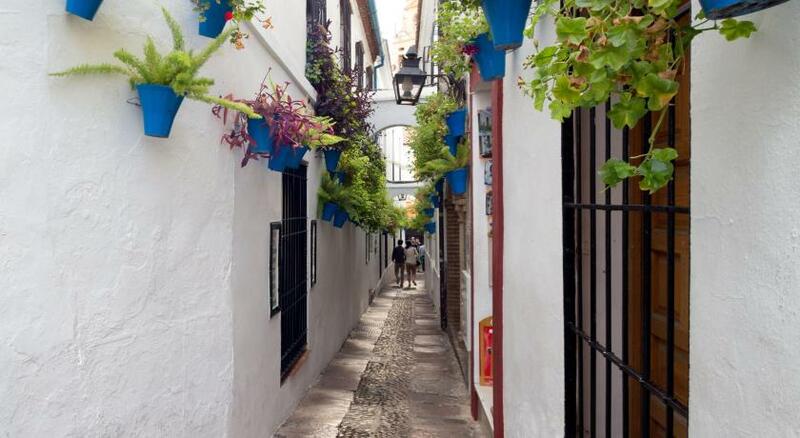 It is situated right outside the courtyard of La Mezquita and is at one end of the Jewish Quarter. It was very convenient. The moment we stepped into the hotel we felt like we were inside a museam. Amazing gallery. Loved the fact the Mezquita was directly opposite Great location. Staff were super friendly and helpful arranging taxi and providing information about cordoba. Location, location and location! Nice decorated and very much beatiful art in the hotel. Beatiful room with comfy bed. I got my room (check-in) very early, it was excelent! Good service and very friendly staff. Some weekend night street noise if room is facing street.